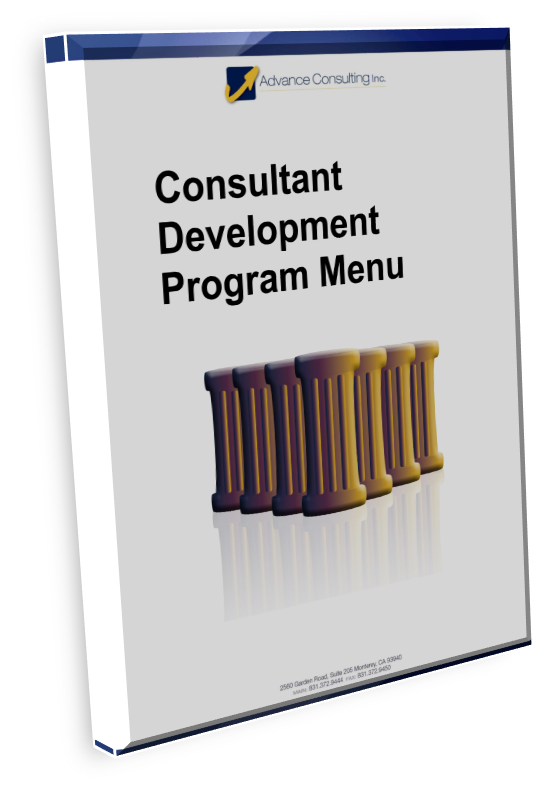 Consultant Development Program Menu Download - Advance Consulting Inc.
Download the Consultant Development Program Menu! Start designing your own Customized Consultant Development Program. The Menu will give you a list of program elements to consider and help you decide where your team can do the work, and where you may need some help.